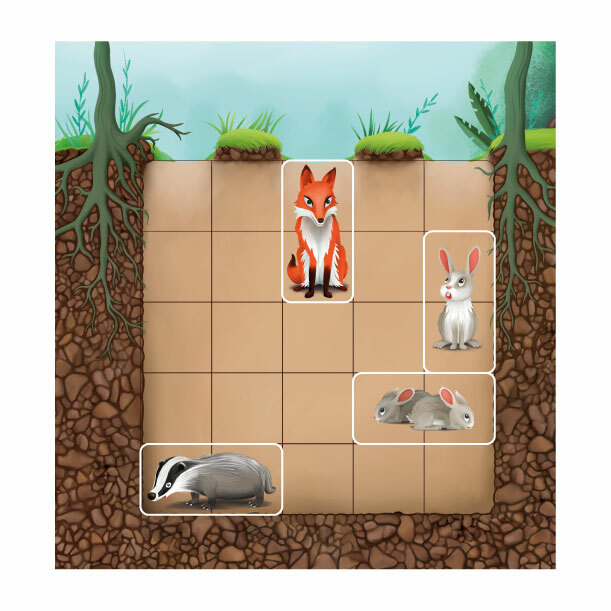 Mr. Fox, Mr. Badger and the Family Rabbit are looking for cozy new homes. But with so many forest animals living underground, they need your help so they don't end up digging in the wrong place! 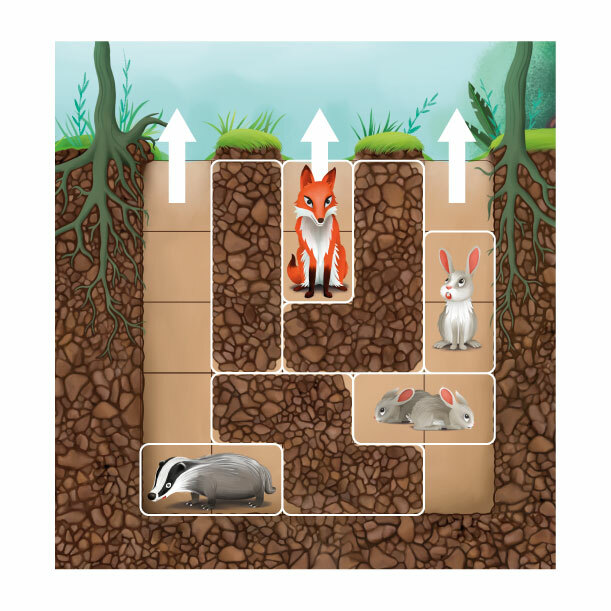 Make sure that each animal has its own burrow with its own exit. 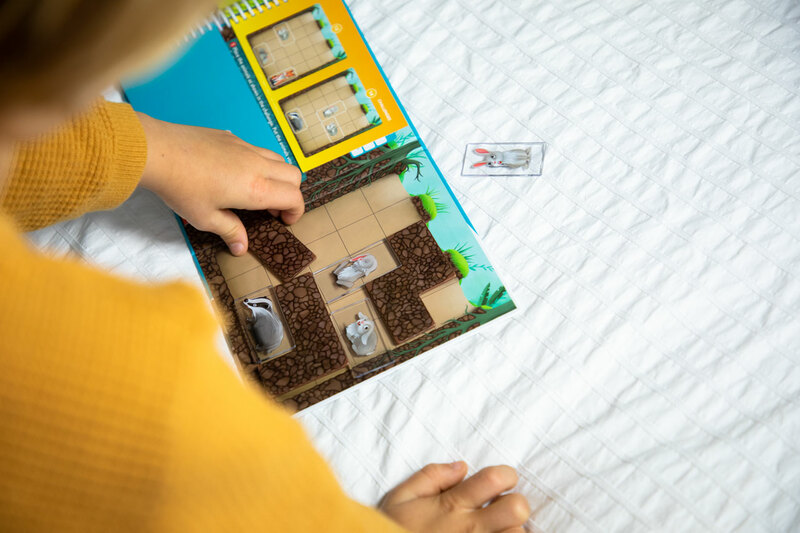 Can you see the light at the end of the tunnel? 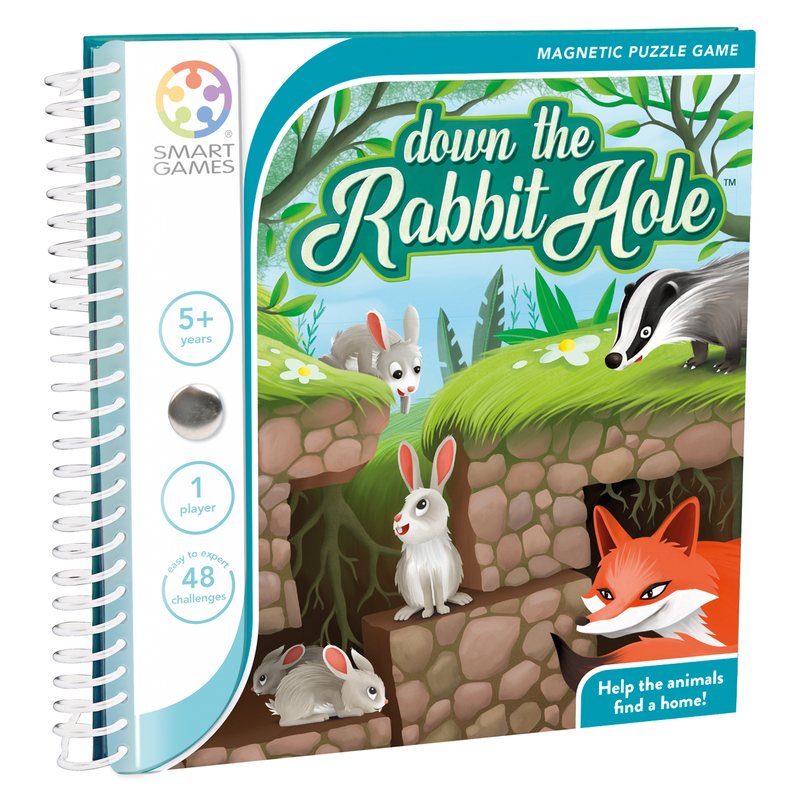 "Down the rabbit hole" is a fun puzzle game with 48 challenges and magnetic puzzle pieces. 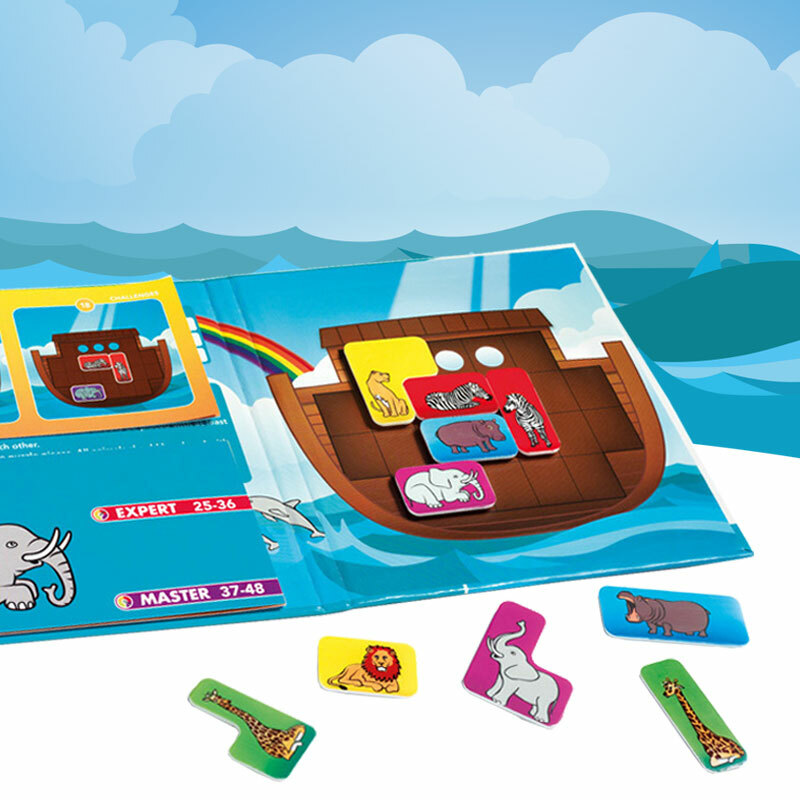 Perfect to take with you on your own fantastic journeys! 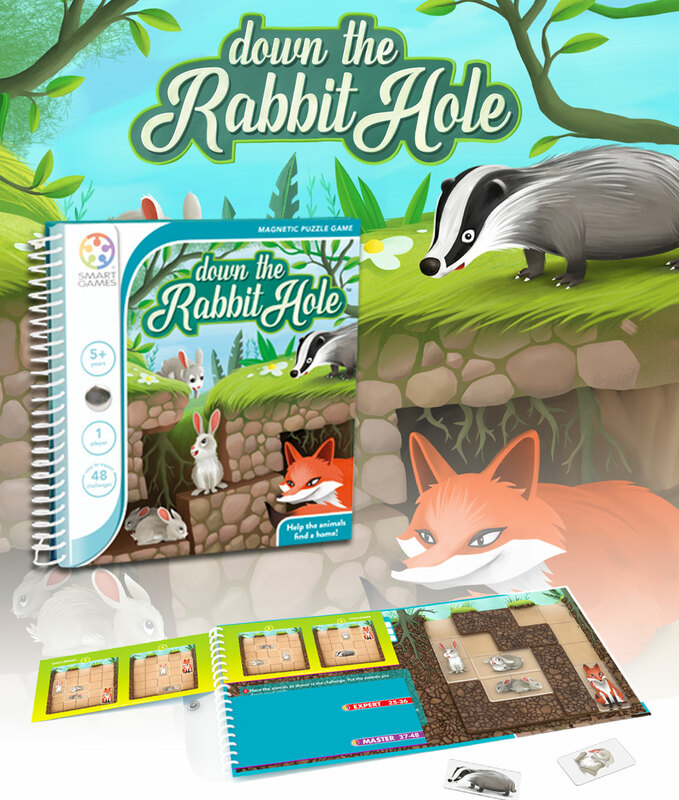 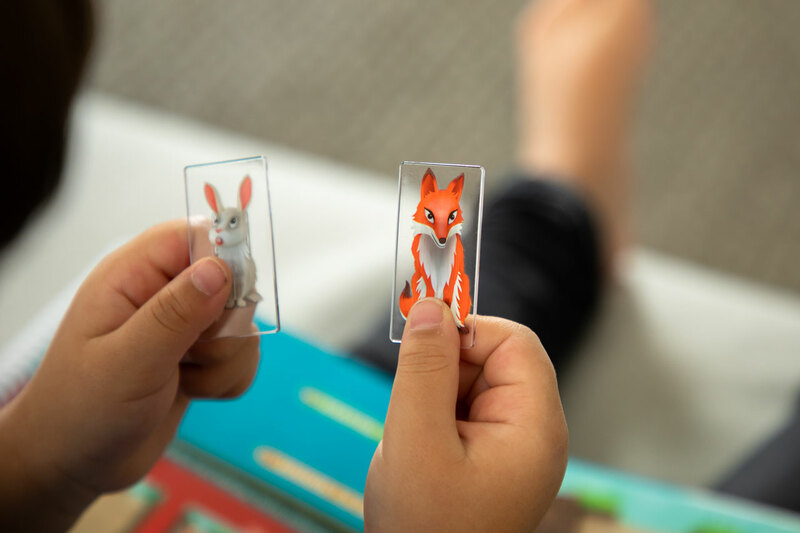 Inside the BoxCompact game board, 3 magnetic “ground” puzzle pieces, 6 magnetic puzzle pieces with animals (4 rabbits, 1 fox, 1 badger), 48 challenges and solutions. 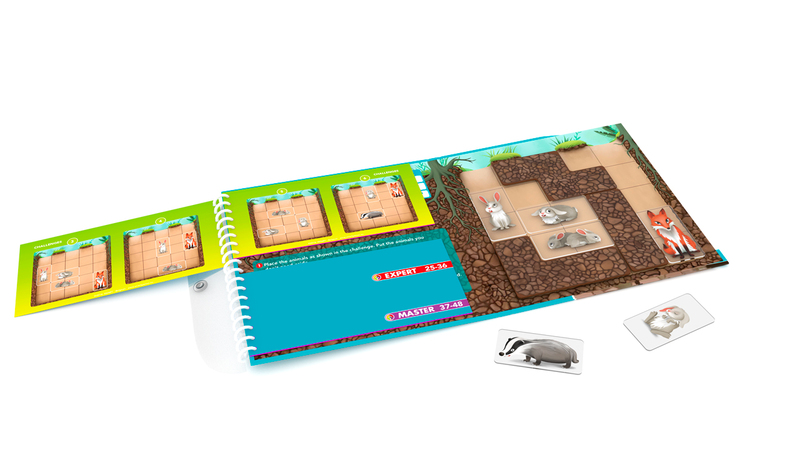 Select a challenge and place the animals as shown. 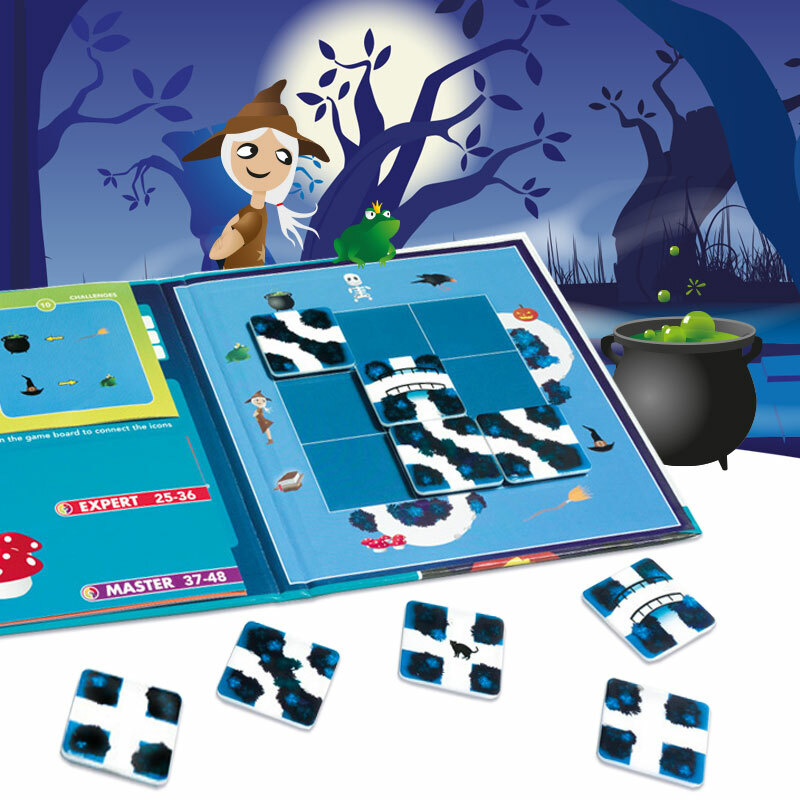 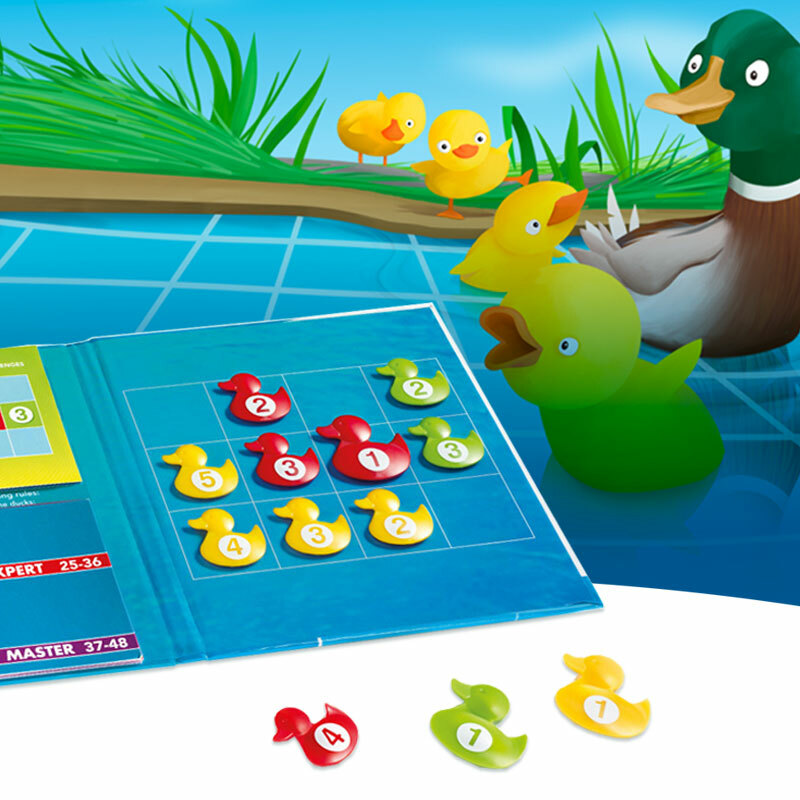 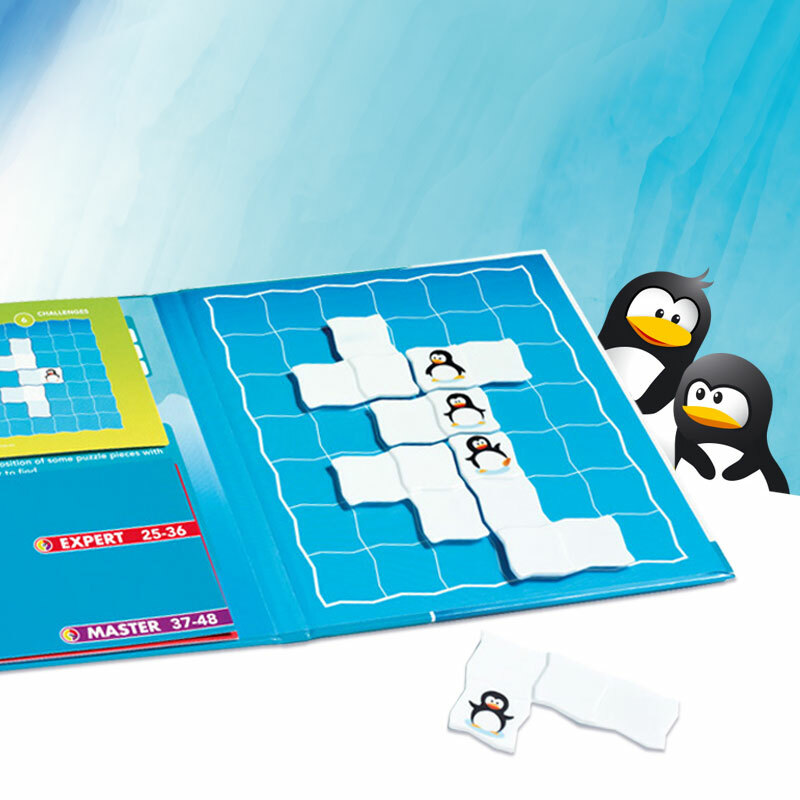 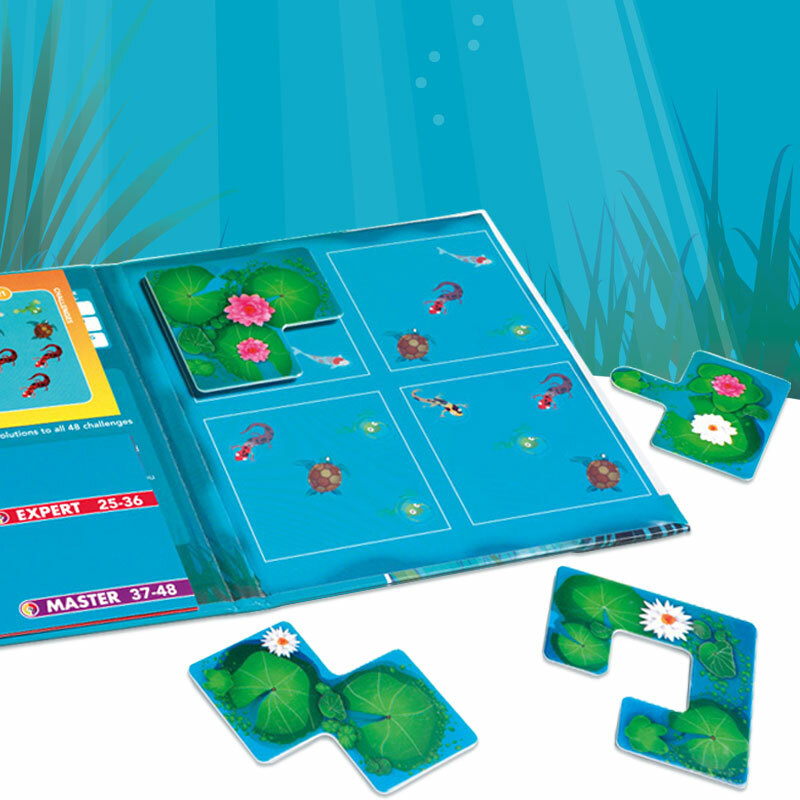 Place the "ground" puzzle pieces on the game board, so that each kind of animal has its own burrow and exit.